When they first begin receiving chiropractic care, some people are surprised at the simplicity and the brevity of a visit to the chiropractor. In this day and age, when so many people believe that ‘more is better’, and highly technical and sophisticated procedures abound, especially in the healthcare field, people just expect that the chiropractor is going to do a whole lot more. They realise that chiropractic is “hands on” but somehow expect that the chiropractor is going to do something else. Occasionally they will even say, “Is that all you are going to do?” I’m sure that often the person goes away wondering how so little can do so much, how moving a few little bones can be expected to accomplish so much in the way of improved function. Well, relatively speaking, the chiropractor is doing little, but moving a few little bones is not all there is to chiropractic. There is so much more. When the chiropractor adjusts the spine, he/she is doing so based upon years of training and practice. When that vertebra is adjusted, an interference is removed from the nervous system. 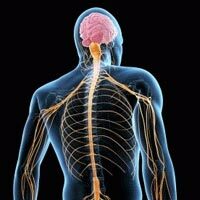 That nerve may not have been carrying the proper signals to the body for days, months or even years. So what looks like a simple procedure can have wide ranging effects on the body’s ability to function optimally. There is an inborn intelligence within the body. It creates tissue out of the food we eat and it runs every organ in our body. It repairs the body when we are injured or sick. This innate intelligence utilises the nervous system to run the body, which is the most sophisticated communication system in the world, but it is subject to damage and interference. A major cause of that interference is misalignments of the vertebrae, that is, vertebral subluxations. When the chiropractor corrects a subluxation, the wisdom of the body is free to be expressed. The body is free to go ahead with the task of returning to optimum functioning. So although chiropractic adjustments are relatively brief and unelaborate, they have potentially beneficial consequences for the whole body.